“Can we top last year’s bikes?” We freak ourselves out with the same damn thought every year. And then we begin the judging, only to realise that we’re more spoilt for choice than ever. 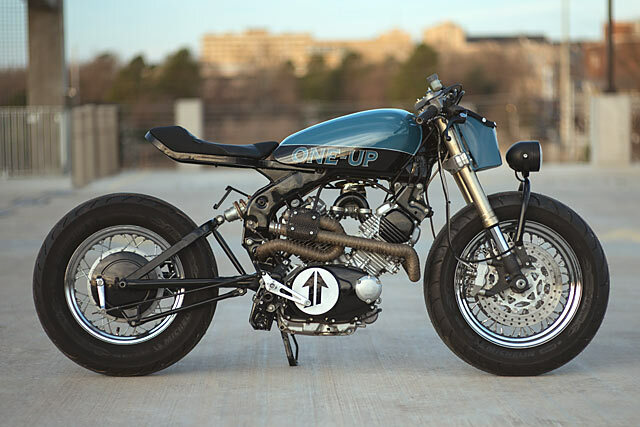 Welcome to our 8th annual Pipeburn Bike Of The Year Award. As always, the award’s aim is to honour the world’s best bike builders and all their hard work. So we’ve reviewed every single one of this year’s bikes and your comments, along with their social media performance to get us a top 20 list. We then nut out a final ten bikes in the order we feel best portrays their creativity, build quality and their all-important ‘wow’ factor. Here’s this year’s selection. For those of us ancient enough to remember the ‘Wacky Races‘ cartoon, this bike from July will seem oddly familiar. The longer than long wheelbase. The completely nuts rear tire. The forks raked out at preposterous angle. We can’t think of a cooler, more smile-inducing bike from 2017. Hell, we can’t think of one ever. 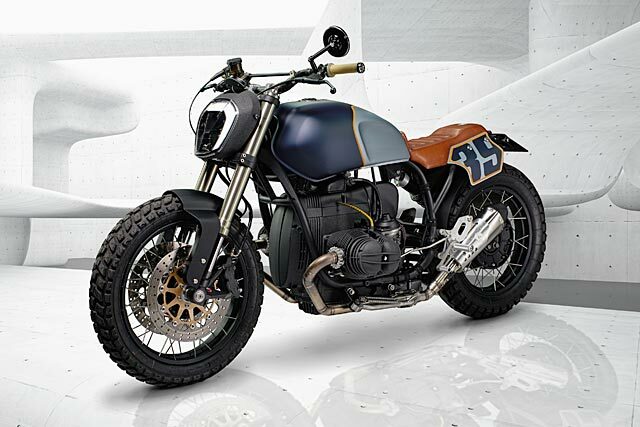 Built for a professional ice hockey player, ER’s ‘Logan’ BMW racer left us guessing for most of the year. After its surprise appearance on our stand at Italy’s Wildays show in May, we assumed the Pipeburn article would be just around the corner. But shop owner and perfectionist Blaž Šuštaršic made us all wait until October. Then, like a puck to the teeth, he revealed this. From an Arkansas shop that clearly likes to do things differently came this early standout. Accepting the challenge of customising the least interesting model in the Virago range (now that’s really saying something), they added a swathe of unique touches and some killer skills to produce a bike that made many of us realise what a diamond in the rough Yamaha’s teeny tiny v-twin really was. 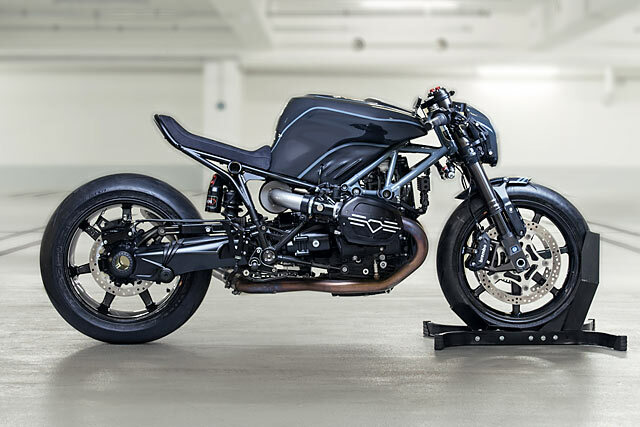 It’s spaceship-like quad pipes wowed us when we first laid eyes on them at Wheels & Waves; a closer inspection of this magnificent Italian race rep only upped the ante. The sight glass fuel window. The motorised side stand. The doubling of the factory’s horsepower. Did we mention it’s Italian? Molto bello! 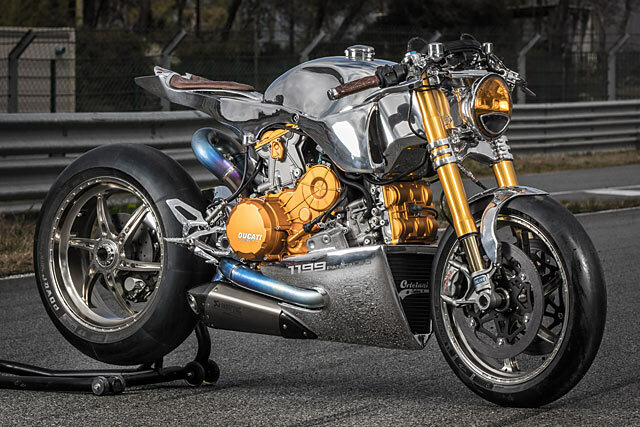 Argentina’s Lucas Layum had us when he said his next bike was going to be a ‘turbo Harley salt racer’. Then we saw the photos. 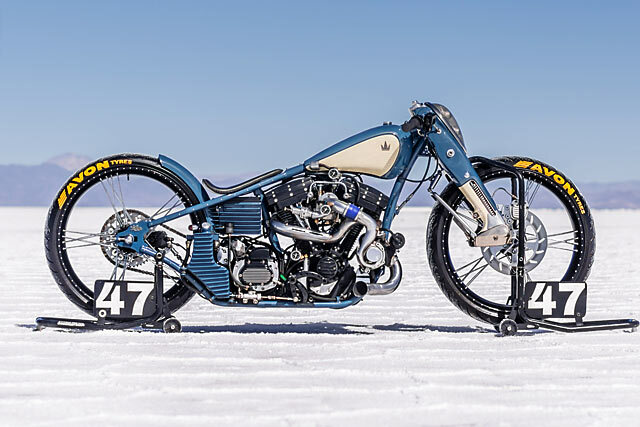 As one of the best builders in South America, the Harley has singlehandedly catapulted the shop into the custom world’s upper echelons, while also earning them a well-deserved 5th place in this year’s awards. Felicitaciones. To be frank, we’re getting a little tired of telling you just how awesome Los Angeles’ Maxwell Hazan is. 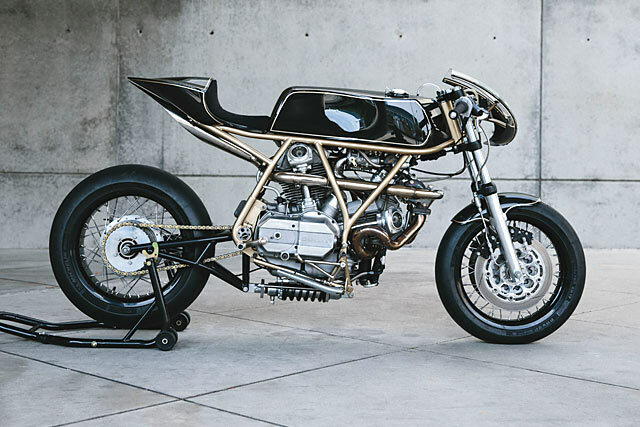 As our winningest custom bike builder ever, he has a habit of killing it at these awards – probably a lot like this turbo Ducati kills tires. With Hazan’s usual bespoke everything, exactly nothing has been overlooked. The fact that this bike isn’t taking out the first prize in 2017 is only testament to just how next level the final two bikes really are. As always, nice work Max. 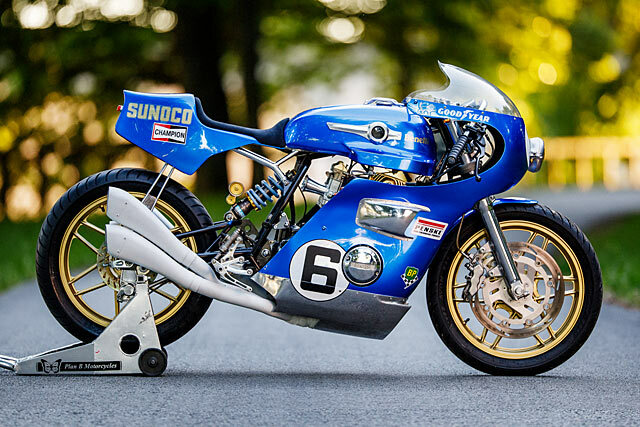 Exploding into the number one position while leaving behind an army of pissed-off purists in its wake is the Swiss Ducati named ‘The Blue Shark’. With amost twice the social media numbers of its nearest competitor and comments for days, this March bike had a virtually unassailable lead just a few short weeks after its first appearance. 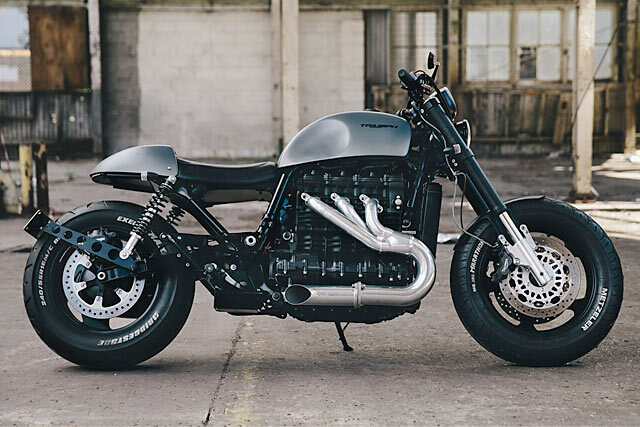 Boasting a stunning combination of old and new school, it proved (as always) a controversial but stupendously popular bike. 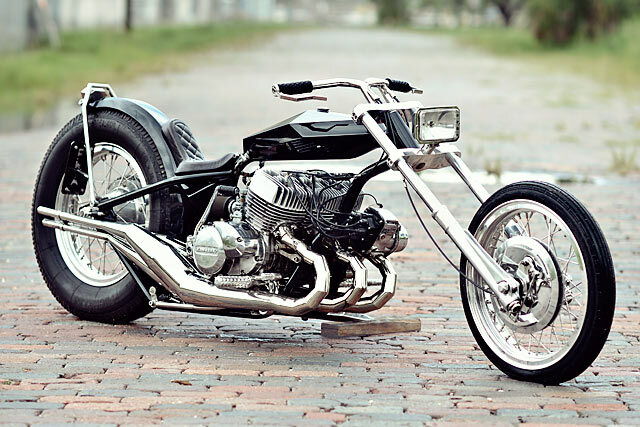 It’s success is no big mystery; take one dream bike, add a unique custom idea and the master craftsmen to pull it off. 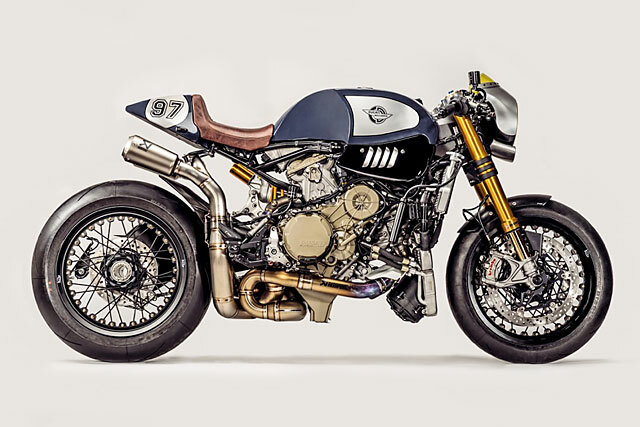 Finish with stunning photography and hey presto, the Ducati Zentralschweiz and Parts World Ducati Panigale R has won Pipeburn‘s 8th annual Bike Of The Year Award. 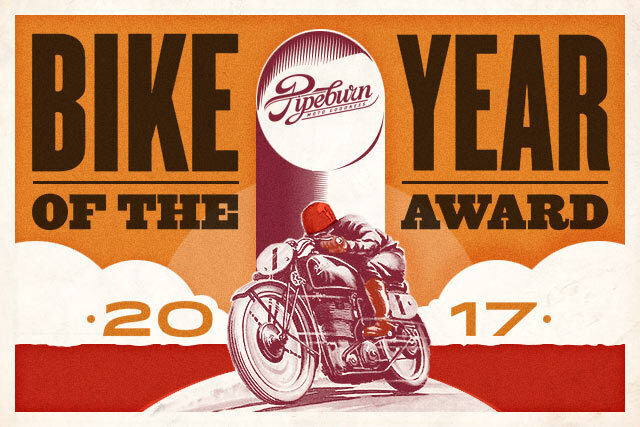 Lastly, thanks to everyone who helped us make this award, and Pipeburn itself, happen in 2017. Cheers to our writers Martin and Marlon. Massive thanks to Paul McKinnon from Evolution Motorsports in Sydney for the trophies. Hats off to all the builders who let us show their hard work to the world and to the photographers who made the bikes look amazing. And lastly, to all the Pipeburn readers; thanks for stopping by. 2018 is shaping up to be a corker. Catch you on the flip side.